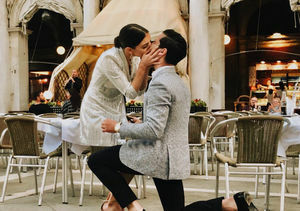 “Dancing with the Stars” couple Val Chmerkovskiy and Jenna Johnson are married! On Saturday, Val and Jenna exchanged vows at the Terranea Resort in Rancho Palo Verdes, California, in front of their close friends and family. According to People magazine, Jenna wore a Vera Wang gown while Val sported a Brooks Brothers tuxedo. Jenna was joined on the special day by her famous bridesmaids, including former “DWTS” partner Adam Rippon, “DWTS” Lindsay Arnold, and “So You Think You Can Dance” winner Gabby Diaz. 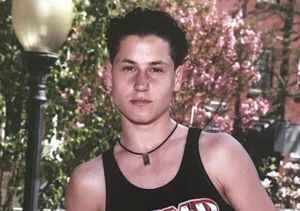 Val’s older brother Maksim Chmerkovskiy served as the best man. A source told E! News, “Val and Jenna saw each other before the ceremony and took photos. They were surrounded by family members and posed for several pictures with Maks and Peta as well as their parents. They read their own vows and it was a beautiful setting with a light breeze and lots of sunshine." Many familiar faces from the “Dancing with the Stars” family attended the wedding including “DWTS” pros Hayley Erbert, Witney Carson, Emma Slater, Sasha Farber, Mark Ballas, Cheryl Burke, Alan Bersten, Artem Chigvintsev and Brandon Armstrong. Nikki Bella was also there with her rumored boyfriend Artem. Other celebrities who have competed on the show were also present, including Candace Cameron Bure, Alfonso Ribeiro, Joe Amabile, Normani Kordei, Laurie Hernandez and Ginger Zee. After the ceremony, the insider noted that Val and Jenna “walked off holding hands and kissing,” adding, “Then they stopped to look at their wedding rings in complete awe. They were showing the rings to each other on their fingers and they couldn't contain their excitement." 'Dancing with the Stars' Pros Val Chmerkovskiy & Jenna Johnson Engaged! While they have dated on and off since 2015, they seemed to become more serious about the relationship in 2017.